A paradox that lies at the heart of capitalism is that economies need consumers to be confident spenders of money on the one hand, while on the other workers’ must accept insecurity and flexibility in their main supply of money: employment income. Professor Colin Crouch considers the implications of this, and looks at the ways it might be resolved. The need for workers to be confident consumers is particularly difficult as globalization and economic change destabilize the lives of working people. 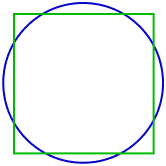 But this circle can be squared, and in multiple ways. Most successful have been those countries that have relied on a sense of collective solidarity to support strong public social policy and coordinated collective bargaining involving effective trade unions. Unfortunately, political and business elites are busily engaged in dismantling the bases of that solidarity almost everywhere, including the countries where this pattern has thrived, leaving in its place growing public and private debt. This is a major conclusion of a study of the means used in European countries, Japan, Russia and the USA to square the circle of confident consumers and insecure workers. Consumers and workers can simply be different persons (as with countries that are heavily export-dependent, or with major remittances from emigrant workers). Or consumers and workers can be separated over time if the present population boosts its consumption at the expense of future generations through heavy public debt, or maintains profitable forms of economic activity at the expense of environmental damage. Some of these approaches, especially the last two, are unsustainable, but have the attraction of not making any demands on collective solidarity. Others involve separating consumption from labour earnings, with people not being dependent on wages alone to support their spending. Growing recourse to consumer debt has been an increasingly important example. Very different is a strong welfare state. If such things as health, education and social protection are provided from outside the market economy, workers might feel able to take more risks with other types of consumption. Consumer debt (which is unsustainable over more than the short term) places minimal demands on solidarity, while strong welfare states require it. Similar differences pervade a final set of policies and approaches to the dilemma: measures within social policy and wage bargaining that seek to combine security and flexibility within working life itself. Here there is a major difference between actions that operate generally across a national workforce and those that erect barriers between secure insiders and various outsiders who bear the brunt of flexibility (for example, immigrants, young people, women, those working in the shadow economy and the poor in general). Here we find the topics more narrowly associated with employment security: active labour market policy, employment protection laws, coordinated collective bargaining systems. Behind the great diversity in these different approaches stand a few basic patterns. Generalizing very broadly, we can identify three groups of countries, based on the relative prominence within them of four different forms of governance: state, association, market and community. The first group comprises those nation states where state policy and the regulation of labour markets by coordinated trade unions and employers’ associations (associational governance) dominate, though most also make considerable use of private market resources. These can be called ‘social democratic’ and are found mainly in north-west Europe (with some doubts over France, where associational governance is weak), to some extent also in Slovenia. Apart from Belgium and France, these cases combine strong records of employment security and economic innovation. They have a low level of income inequality, but a tendency to use immigrants and sometimes women as partially excluded groups. While some of them had in the past high public debt levels, and a few have high levels of consumer debt, these countries tend to make less use of non-sustainable practices (debt, environmental pollution and shadow economy) than others. An important formative force in making their labour and social policy regimes have been powerful trade unions – though this is most important among the Nordic countries within the set. Despite continuing success the supports underlying this social democratic model are being steadily undermined as welfare states are replaced by marketization, the role of collective bargaining is undermined, and, whether as cause or effect, social solidarity weakens. Next come countries dominated by market solutions (such as private pensions, consumer debt, but also the disciplinary market incentive of a low level of public social policy). These are the ‘neoliberal’ countries; mainly Anglophone cases, but partially also including the Czech and Slovak Republics, Japan and Switzerland. Though small, this is a heterogeneous group. Public social policy in Switzerland and the UK is stronger than the stereotype anticipates; Japan, the UK and the USA have levels of public debt incompatible with the limited neoliberal state; the two central European cases have neither strong private social policy nor consumer debt. These countries have strong to moderately strong records of employment and economic innovation. Apart from the highly egalitarian Czech and Slovak Republics, they tend to have high levels of income inequality. Social exclusion is concentrated, not on specific social categories, but on the poor in general, whose standard of living tends to be detached from that of the bulk of the population. Some of these countries (but not Switzerland or the Czech and Slovak Republics) have high levels of public and private debt and (not Switzerland) of environmental pollution, but they all have low levels of shadow economy. They therefore have some problems of sustainability. They are not distinguished, as are countries in the social democratic group, by trade union strength, this ranging from moderately strong in Ireland to exceptionally weak in the USA. Finally come countries where the main measures for providing security come from family and local community (hence, ‘community’ governance). Negative market measures (i.e. relative absence of state social policy) and in some cases growing levels of consumer debt provide some ‘market’ support, and in south-western Europe (except Spain) there is very high public debt. This is the largest group, and includes most of central, eastern and southern Europe. Employment and economic innovation are poor almost everywhere. Most have high levels of income inequality and practice a wide range of forms of social exclusion. Levels of environmental pollution, like public and private debt levels, vary, but all make use of non-sustainable shadow economies. The financial crisis was a massive failure of the core neoliberal strategy of deregulating financial markets, but its advocates have very skilfully redefined the crisis as having been one of public spending, skating over the fact that it was bailing out the banks that put intolerable strain on many countries’ public resources. Since then the growing inequality being produced by neoliberal economy has become an object of concern for the OECD, the World Bank and other international agencies, not for reasons of social justice but because of its looming negative economic effects. Starting in the US and spreading across the advanced world, the richest 1% of the population is taking an ever bigger share of growing wealth, leaving working people depending increasingly on credit to finance their consumption. The more egalitarian societies of north-western Europe have had a social model that has evaded this problem. How long will it be before dominant economic and political opinion recognizes that understanding, strengthening, and if possible exporting that model would serve the general interest better than undermining it? Colin Crouch is a professor emeritus of the University of Warwick and external scientific member of the Max Planck Institute for the Study of Societies at Cologne. He is vice-president for social sciences of the British Academy. He has published within the fields of comparative European sociology and industrial relations, economic sociology, and contemporary issues in British and European politics. His most recent books include Governing Social Risks in Post-Crisis Europe (2015); Making Capitalism Fit for Society (2013); The Strange Non-death of Neoliberalism (2011); Capitalist Diversity and Change: Recombinant Governance and Institutional Entrepreneurs (2005); and Post-Democracy (2004).